Hot weekend here in coastal BC. Fewer garage sales (BC Long Weekend). Celebrated with my Dad and Siblings Dad's 92nd Birthday yesterday (cake and coffee at Mom's care home). Mom sang all the words to Happy Birthday. She doesn't really talk anymore but she can sing all the hymns and the songs of her youth. 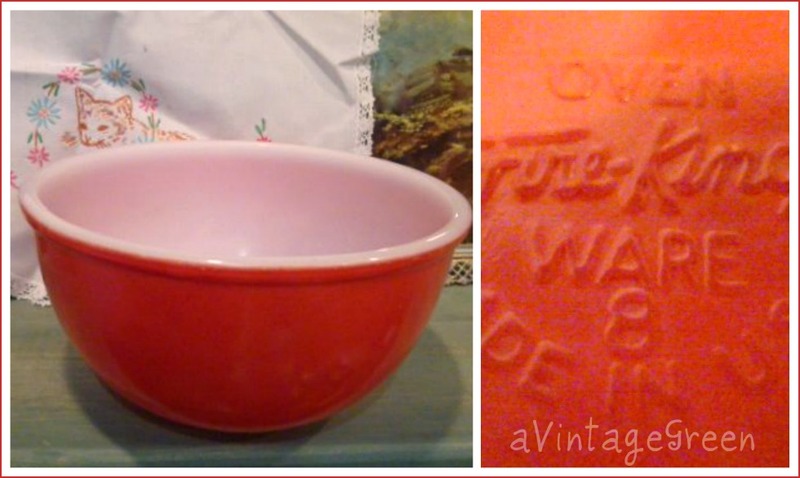 Some of the weekend finds included a red Fire King mixing bowl and two Pyrex pieces. I didn't find a Black Gooseberry pattern sample at PyrexLove in this colour, just pink. 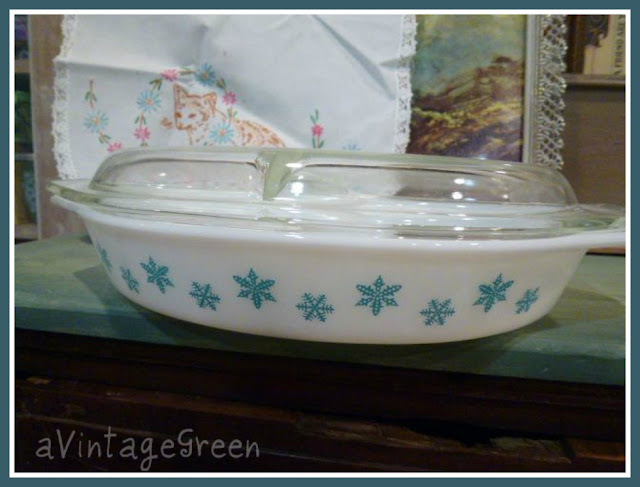 Divided Pyrex Snowflake serving dish and lid. I love Pyrex although we only have 4 pieces of it... it just keeps going and going and going. Love the Fire King and Pyrex. Congrats to your dad on 92 years. Oh how I miss my mom and dad! 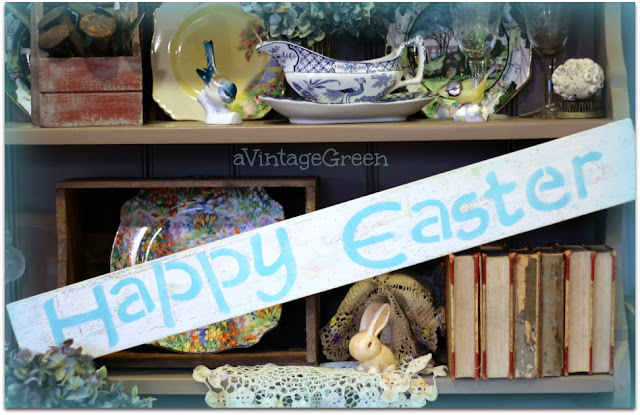 Treasures-both the pyrex and especially your parents! Your family gathering sounds really special...so great to have those times together! 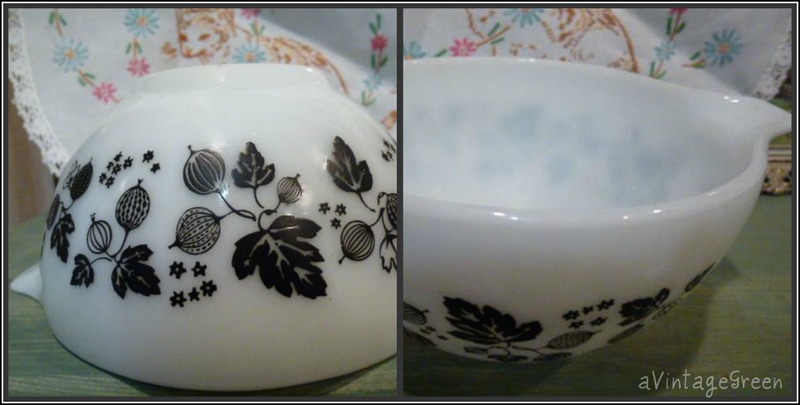 You had some wonderful pyrex finds!